Before I continue with tidbits from Dad’s letters I, thought I should provide a proper introduction. 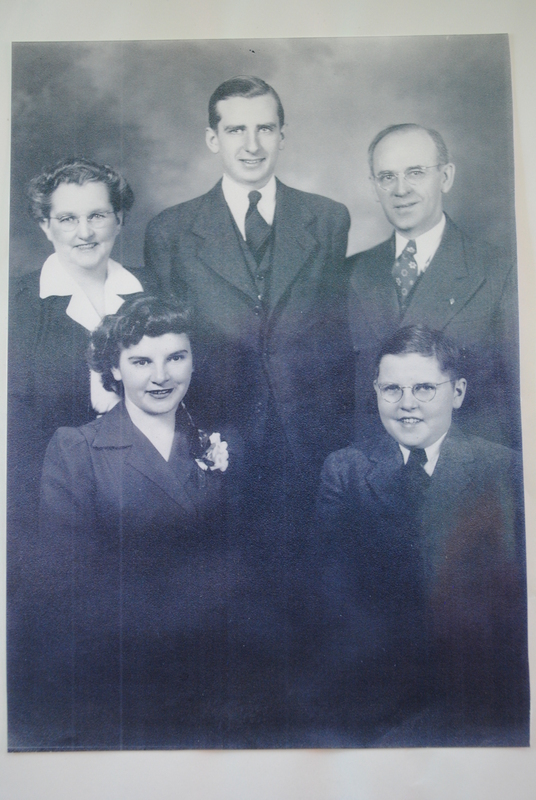 In the center stands our protagonist–Charles Murray Bernier–between his parents, Alice (Murray) and John (a.k.a., J.J.), and with his “favorite sister” Kathryn (Kay) and brother John/Jack/Jackie. Awwwww! I can only imagine that my Dad was the most perfect son!